The Fiberglass Shell Chair is easily one of the most important and recognizable designs of the twentieth century. They were originally designed in 1948, as an entry in The Museum of Modern Art’s International Design Competition. At the time, no one could possibly have anticipated the massive success and longevity of this iconic design. 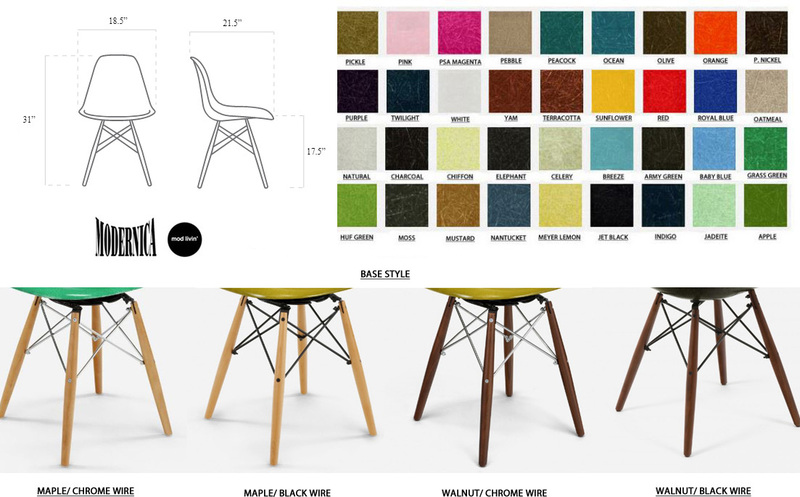 With their factory in Los Angeles, Modernica creates each chair keeping to the original tactile qualities, texture, and characteristics that alone are unique to the fiberglass shell chair.